With some brands forced to shut down and others conglomerated under major umbrellas, there are fewer automakers today than there used to be. And Aston Martin's chief executive says we can expect to see even fewer in the near future. Palmer knows a thing or two on the subject, after all. As head of Aston Martin Lagonda, he's in charge of one of the largest (and last) independent automakers in the UK. Before that, he served as one of the top executives at Nissan, which maintained its independence in the framework of its now-troubled alliance with Renault. "Yes, enlightened mega-companies like Toyota can develop technology alone and survive, but I feel many more companies will fall under the wing of such firms to the point that we have just two or three mega-companies dominating, in the way Boeing and Airbus do in the airline industry,” said Palmer. 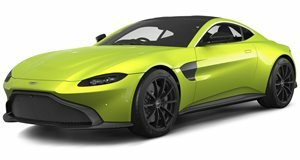 High-end niche automakers like Aston Martin Lagonda may prove the exception, noted Palmer, because they can sell fewer vehicles at a higher price point. 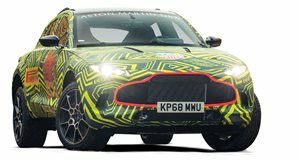 But most of Aston's competitors – like Bentley, Rolls-Royce, Ferrari, and Lamborghini – share resources with the global giants of which they're part. Under his leadership, Aston is relaunching the long-dormant Lagonda marque to develop and market tech-focused, ultra-luxury electric vehicles to take on the likes of BMW's Rolls-Royce and Volkwagen's Bentley. And that'll take a lot of capital and know-how to develop. But Aston Martin has proven adept at forging the partnerships it needs. 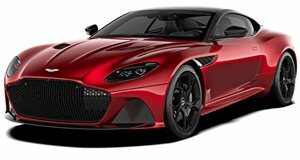 The company works with Mercedes-AMG on powertrains, and with a string of partners on a new family of supercars – including Red Bull Racing, Cosworth, and Rimac. Don't be surprised to see it buy autonomous tech from outside suppliers, and remain independent where many of its competitors have been swallowed up.